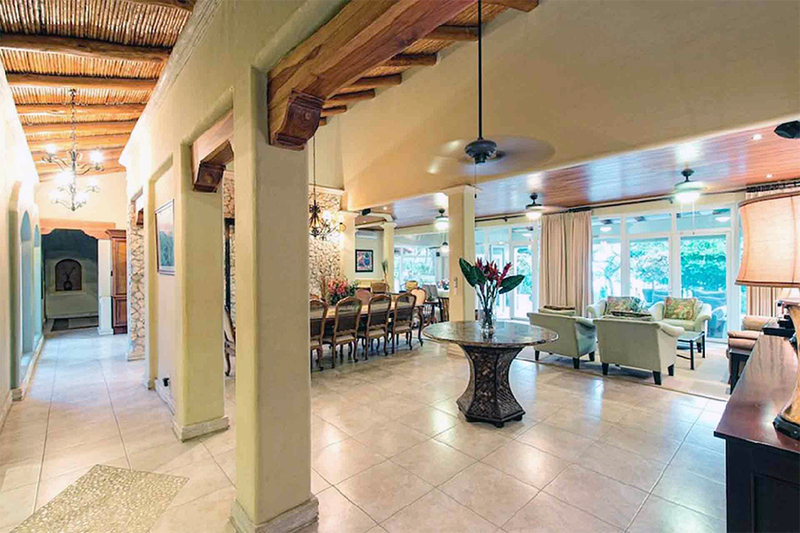 Casa de Luz was designed by well-known architect Abraham Valenzuela to be an entertainer’s delight. 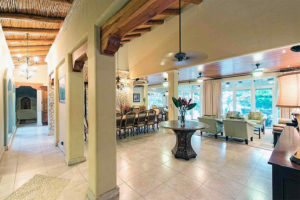 Constructed on two-full beach lots, the 3/4 acre estate provides 5 large event spaces – the main living area, poolside, a beachfront clearing with jungle feel, the entry courtyard, and of course, directly on the beach itself. The adjacent B&B can often be co-booked to provide additional event space, beds, beachfront, and kitchen capacity. Adjoining formal dining room for serving, coffee service, etc.